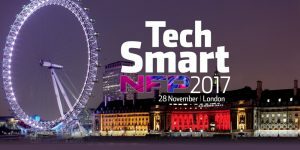 Early-bird tickets are now available for TechSmart NFP 2017, and if you’re a charity, membership body or trade association and your challenge is that you know what you need to do, but don’t know how to get started, you could save yourself 12 weeks by attending this one event. You can also rub shoulders with industry experts who live and breathe professional membership, charity and NFP technology. And get the answers to all of your burning tech, data and digital questions by sharing the experience of over 250 delegates, 30 industry experts, 6 client case studies, and 3 keynote speakers. And all under the one roof! Hart Square the, organisers of TechSmart NFP, provide independent consulting services to professional membership and fundraising organisations, charities, trade associations and the education and healthcare sectors. Having been in the industry for over 20 years as CRM consultants, they found that their NFP clients had continual problems making technology decisions and navigating through the tech landscape with very little guidance and support. Ironically, the technology providers within the sector had no platform to explain how, and why, to use their software in a manner that really addressed their clients’ needs. Given that Hart Square are organisers of 12 other annual educational events, they felt that TechSmart NFP was the natural next step. Discover where the sector will be in 3 years from now, and learn what you can do today to not just prepare for it, but take advantage of it. 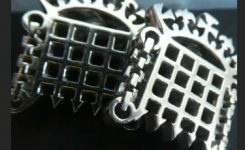 TechSmart NFP 2017 will be at the iconic County Hall, on the riverside – next to The London Eye and opposite the Houses of Parliament and Big Ben – with stunning views across The Thames towards Westminster. Specifically chosen because it allows delegates, sponsors and partners easy access to all areas, the layout of the venue encourages networking in a non-pressured environment, with space for informal conversations. The food is also great!